The NuMax SP123 Pneumatic 23-Gauge 1″ Micro Pin Nailer is perfect for applications such as tacking decorative trim, glazing strips, small picture frames, cabinetry trim, assembling jewelry cases, and hobbies and crafts. 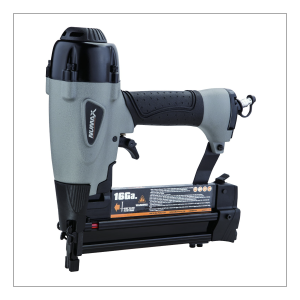 This air powered pin nailer is compatible with 23 gauge headless micro pins from 15/32″ to 1, and the bottom loading magazine makes reloading nails fast and easy. A trigger specifically designed for contact actuation ensures accurate pin placement and avoids accidental firing. Lightweight and durable die cast aluminum construction and an ergonomically engineered body create an easy to operate, lightweight tool great for use over long stretches of time. A convenient comfort grip handle reduces fatigue while increasing control, helping to provide professional results for DIYers at home and construction contractors at the job site. 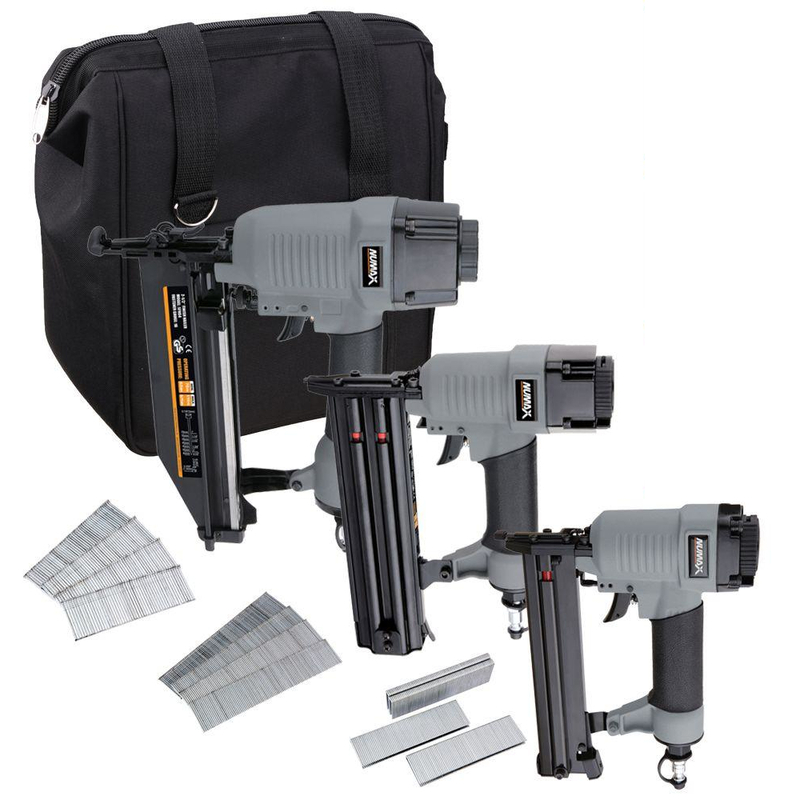 The Pneumatic 23-Gauge 1″ Micro Pin Nailer includes adjustment tools and air tool oil, and is covered by NuMax’s 1 Year Limited Warranty and 30 Day Wearable Parts Warranty. 8.25" x 2" x 6.75"
23 Gauge Glue Collated Headless Micro Pin Nails from 15/32" – 1"